Lifesteal is only applied by autoattacks and abilities that expressly apply on-hit effects. Most physical damage abilities actually apply spellvamp. 707684 PsiGuard Lifesteal is only applied by autoattacks and abilities that expressly apply on-hit effects. Most physical damage abilities actually apply spellvamp. Picked this on Nocturne in jungle - cleared everything on 3:30 mark. After making Wrigile's from this soloing dragon is a piece of cake. Viable also as jungle Xin starting item, more tests coming soon. In jungle, this item can be very useful, because it gives nice jungle survilability. If you have enough AD in game start, you can buy it. Don't ever start with Vampiric Scepter as a ranged AD carry. Doran's Blade or Boots of Speed + 3 Health Potions are both far superior. If you're jungling, this is a great item to use on sustained routes (not starting at blue or red buff). Obviously some junglers like Nunu, Amumu, Fiddlesticks and Cho'Gath don't need this item to jungle. Fully agree. AD carries dont need this as first item. Doran blade more useful in game start(early game). Of course, AP or Tank junglers dont need this always. 515758 TwitcherBrain [quote=OldBen] Picked this on Nocturne in jungle - cleared everything on 3:30 mark. After making Wrigile's from this soloing dragon is a piece of cake. Viable also as jungle Xin starting item, more tests coming soon. [/quote] In jungle, this item can be very useful, because it gives nice jungle survilability. If you have enough AD in game start, you can buy it. [quote=PsiGuard] Since this item doesn't have an actual useful comment yet..... Don't ever start with Vampiric Scepter as a ranged AD carry. Doran's Blade or Boots of Speed + 3 Health Potions are both far superior. If you're jungling, this is a great item to use on sustained routes (not starting at blue or red buff). Obviously some junglers like Nunu, Amumu, Fiddlesticks and Cho'Gath don't need this item to jungle. [/quote] Fully agree. AD carries dont need this as first item. Doran blade more useful in game start(early game). Of course, AP or Tank junglers dont need this always. 441022 OldBen Picked this on Nocturne in jungle - cleared everything on 3:30 mark. After making Wrigile's from this soloing dragon is a piece of cake. Viable also as jungle Xin starting item, more tests coming soon. If you're jungling, this is a great item to use on sustained routes (not starting at blue or red buff). 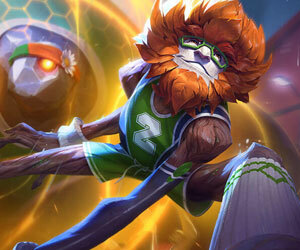 Obviously some junglers like Nunu & Willump, Amumu, Fiddlesticks and Cho'Gath don't need this item to jungle. 329940 PsiGuard Since this item doesn't have an actual useful comment yet..... Don't ever start with [[Vampiric Scepter]] as a ranged AD carry. [[Doran's Blade]] or [[Boots of Speed]] + 3 [[Health Potions]] are both far superior. If you're jungling, this is a great item to use on sustained routes (not starting at blue or red buff). Obviously some junglers like [[Nunu]], [[Amumu]], [[Fiddlesticks]] and [[Cho'Gath]] don't need this item to jungle.